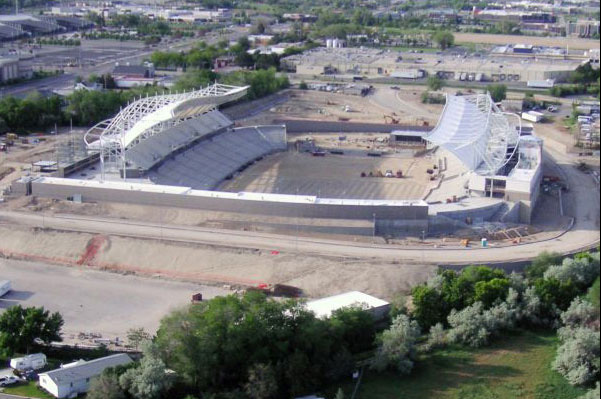 I figured tonight was as good of a time as ever to give you all some RSL Stadium updates. 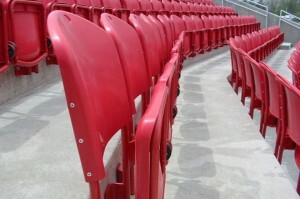 All the photos are from RSLstadium.com, head over there if you want to see more or their webcam. 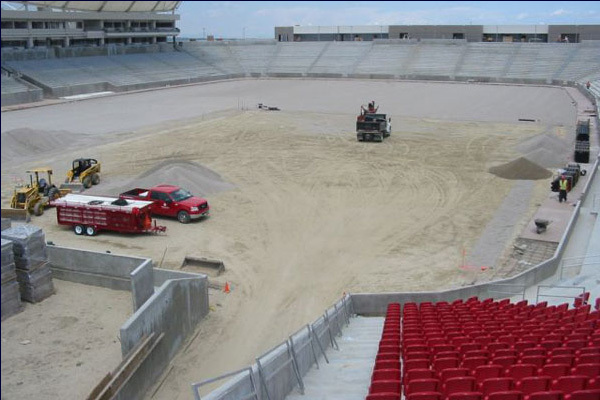 The big news though is the field will soon be in place and they are starting to put in seats! I must say this stadium gets nicer every time I go and look at it online. Its one of those that I think will deserve a visit to one day down to the road. Once the final product opens this fall, many people will find out just how nice this stadium really is. In fact it may get some people talking that it is the best in the league (though those LA fans will have reason to disagree). What do you all think? Its coming together really nicely here. I’m curious to see who they get to sponsor the stadium. Also, there was some press about the Red Bull stadium in New Jersey. They promise to get a webcam up in 60 to 90 days. I hate the HDC. Personally, I like Toyota Park best, followed by BMO, PHP, Crew Stadium, and THEN HDC. Though This is likely to take 2nd place. And then RBP will probably replace that as 2nd. So yea, I really like Toyota Park (not a Fire fan)! The NY 60-90 day reference never gets old. 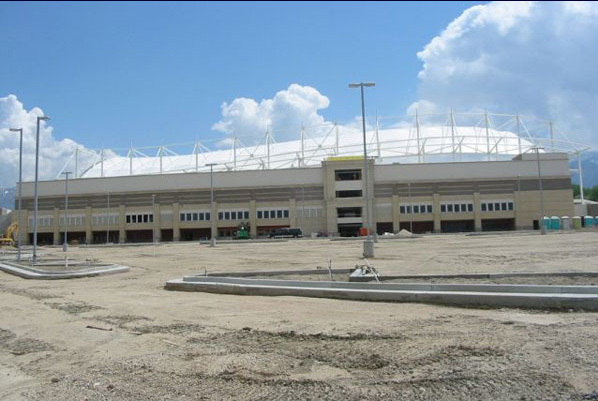 If you think the RSL stadium looks good in pictures you should see it in person. 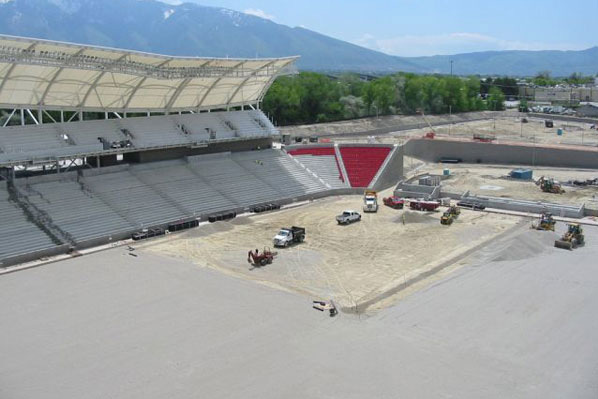 Can't wait to get into the new stadium, even though RSL can't seem to win off of the cement in Rice-Eccles. If you think the RSL stadium looks good in pictures you should see it in person. 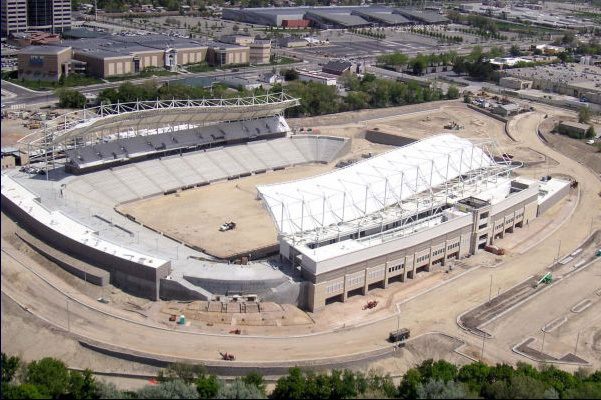 Can’t wait to get into the new stadium, even though RSL can’t seem to win off of the cement in Rice-Eccles.